Based on an incredible true story, "Denial" comes to Digital HD on Dec. 27 and Blu-ray™, DVD and On Demand on Jan. 3, 2017, from Universal Pictures Home Entertainment. This poignant drama detailing the strength of a person fighting for what is right stars Rachel Weisz (The Constant Gardner, The Lobster), Tom Wilkinson (Michael Clayton, In The Bedroom), Timothy Spall (Mr. Turner, The King's Speech) and Andrew Scott ("Sherlock," Spectre). The Blu-ray™ and DVD feature exclusive bonus content that takes viewers deeper into the compelling story and behind-the-scenes with cast and crew including the real Deborah E. Lipstadt. 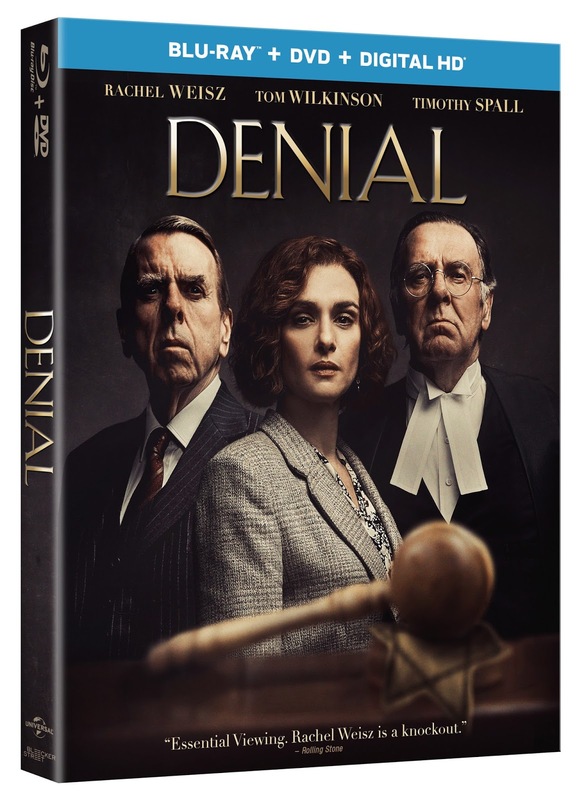 Oscar® winner Rachel Weisz stars in this powerful true story based on the acclaimed book "Denial: Holocaust History on Trial." When Deborah E. Lipstadt (Weisz) speaks out against Holocaust denier David Irving (Spall) over his falsification of history, she discovers that the stakes are higher than ever in the battle for historical truth. Now faced with a libel lawsuit in British court, Lipstadt and her attorneys (Wilkinson, Scott) have the heavy burden of proving that the Holocaust actually happened, in a riveting legal fight with far-reaching consequences. The Making of Denial: Go behind-the-scenes with the cast and crew of Denial, along with the real Deborah E. Lipstadt, to learn more about the story that inspired the film.